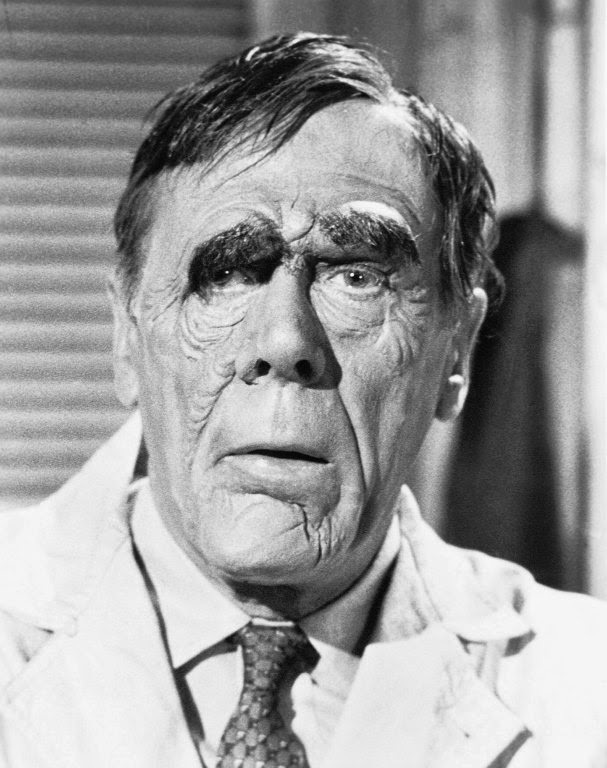 The little snippet of a memory I have of my mother saying poor old Leo G. Carroll has stuck in my mind all these years because, perhaps even as a young boy, I thought it an unusual remark. 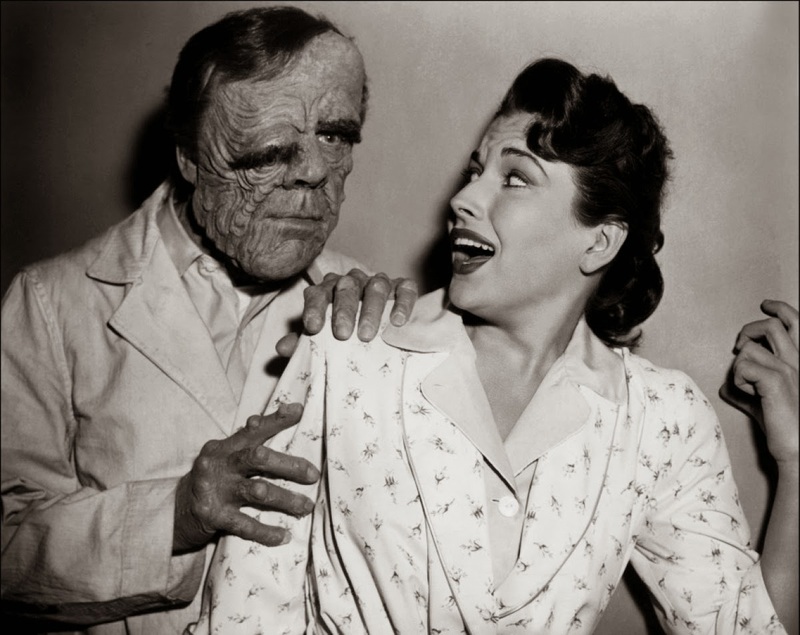 He was an actor in the film, playing a man with a horrifying disfigurement--it wasn't a documentary. All these years later, having seen the film again ( and loving it just as much), I have a clue as to the context of my mom's remark. I have just read on Wikipedia that he died in 1972 (living to a ripe age of 85.) It could well be that mom had read his obituary recently in the paper, and this flavoured her memory of him. In any case his role is stunning in the film. His metamorphosis from a crotchety geezer into a gruesomely distorted, asymmetrical acromegelic is scary. I love the scene when he is lecturing his young graduate student intern, who notices something odd in his face. The make-up job is subtle, the success of the scene due more to the actor's qualities. The whole film is good, one of the very best of the big bug movies. This is largely due to the human interest of a parallel, human monster. The big spider in the desert is excellent, shucking cattle and humans like the best cattle mutilation theories, but the strange tragedy that befalls the the scientist is equally compelling. Maybe the film and the actor's recent death (in 1972) somehow combined in your Mom's mind! It stands out that she even knew who he was. I saw the whole movie on TV after school maybe in 1974 or so. I saw the movie here at home with you Roman, not without making it clear to you that I thought this type of movie was a waste of time watching:-) I most admit it was memorable though, most of all because I shared it with you and you showed such enthusiasm through the whole movie! !